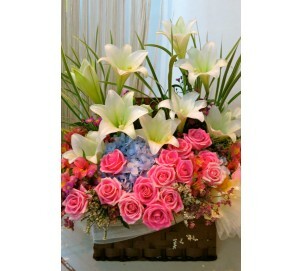 The high style splendid display of a group of vibrant flowers with chocolates! Delivery within Klang Valley only. For outstation orders, other flowers and items may be used depending on availability.